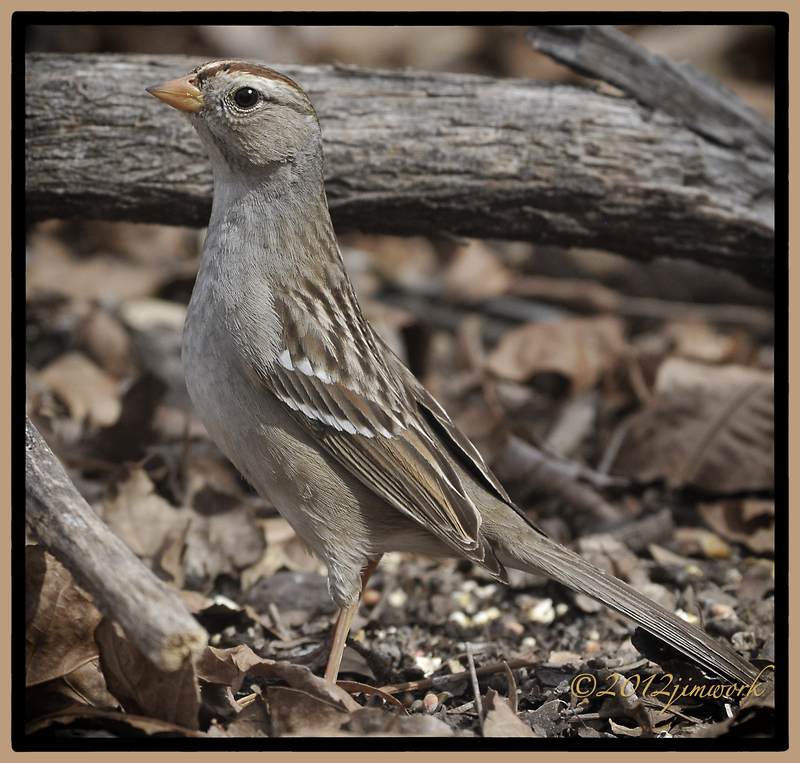 I liked the way this juvenile White Crowned sparrow ( Zonotrichia leucophrys) was trying to make himself appear really tall by standing up straight and almost on tippy-toes. I know I tried to look taller and tougher than I was when I was a juvenile. Oh, what the heck, I try to still do it today, and I bet I look as comical as this guy. I found him feeding and drinking at Sam Nail’s homestead in Big Bend National Park.